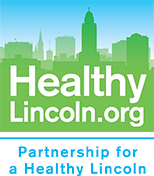 In 2010, Partnership for a Healthy Lincoln was looking for a community event in line with our mission to help Lincolnites live longer lives by making healthier nutrition and wellness choices. We discovered Streets Alive!, an outdoor festival that began in Bogotá, Columbia in 1976 where they are known as Ciclovía, or “bike path” in Spanish. The Columbian event has grown dramatically over the last nearly 40 years, now being held every Sunday and holidays from 7am to 2 pm in many communities in the country. During these times, many of the main streets close to motorized vehicles, allowing human powered traffic to get out and enjoy their community. The Columbian tradition has expanded to parks as well where live performances, aerobics and yoga classes, and other activities are held. This tradition has spread worldwide and is now in places like Australia, South Africa, New Zealand, Peru, Ecuador, Mexico, Canada, Belgium, Brazil, Argentina, and the United States. In the United States, many communities hold annual events to remind people to get outside, be active, and enjoy their community. We held our first Streets Alive!, on September 25, 2011, with 60 non-profit exhibitors, where we attracted nearly 3,000 visitors. We’ve grown every year, now hosting over 100 exhibitors and entertainers, drawing between 4,000 - 6,000 participants.